Organizing a Food Drive? Please click here for more info. This information is gathered for the Abbotsford Food Bank’s purpose only. We do not share any of your private information. Have a question regarding our Privacy Policies? Contact Abbotsford Community Services. 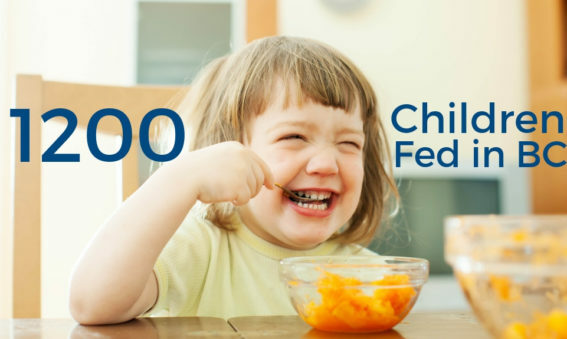 The Abbotsford Starfish Pack program recently celebrated its local contributions to the provincial program feeding over 1,200 students in need every weekend during the school year. Our 6th Annual Toys for Tots Christmas Breakfast is just around the corner, and we can’t wait! We have been excitedly preparing and planning for Friday, November 23rd. If you have never attended one of these events, you are in for a treat! 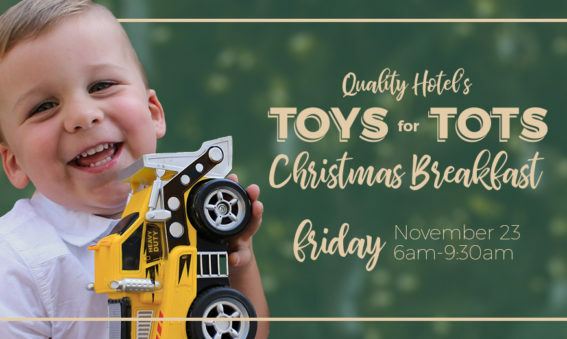 Toys for Tots Christmas Breakfast is a fun family friendly event that kicks off the Christmas season. Join us anytime from 6:00 am to 9:30 am at the Quality Hotel for a delicious hot breakfast, crafts, photo booth, a visit with Santa, live Christmas carols and local entertainment brought to us by Sevenoaks Shopping Centre. Everyone is invited to participate. All we ask is that you bring a new toy for any age or a monetary donation to the event to benefit the Abbotsford Christmas Bureau and Food Bank.